5 weeks for design concept and documentation. The client had a large distribution centre. The site was not presentable to visitors and there was no clear hierarchy of pedestrian movement as well as vehicle movement. 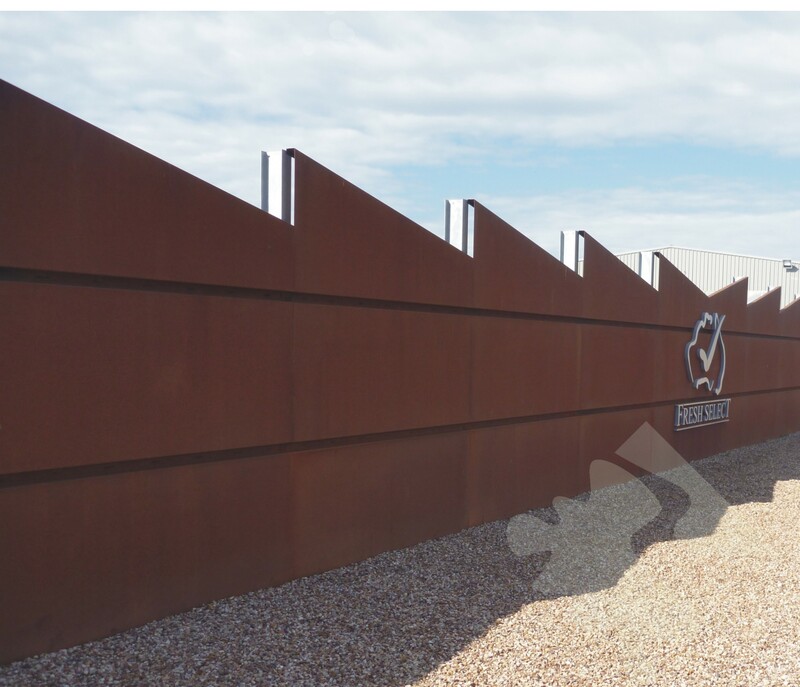 The clients wanted to create a memorable space which would promote their business and improve the practical aspects of the site including pedestrian and vehicle movement. We designed an area which had a clear presence. We devised a uniform colour and material palette as well as a site which had clearly defined parking areas and loading areas. The pedestrian walkway which linked the staff carpark with the distribution centre is clearly defined and identifiable and directs people through an avenue of Eucalyptus cladocalyx ‘Vintage Red’ trees and a courtyard area. A pleasant walk, this also functions to keep pedestrians separate from the truck loading area. The courtyard type area is used by both staff and visitors, with signage and images displayed to communicate the history and the future of the company to the observer. Set back from the boundary, a corten steel wall, together with some well-placed garden beds, helps to screen the area and frame the entry.